Light and dark divided evenly for a day. Dark will take over from now on. And cold. This is the last outdoor party of the year. This year. 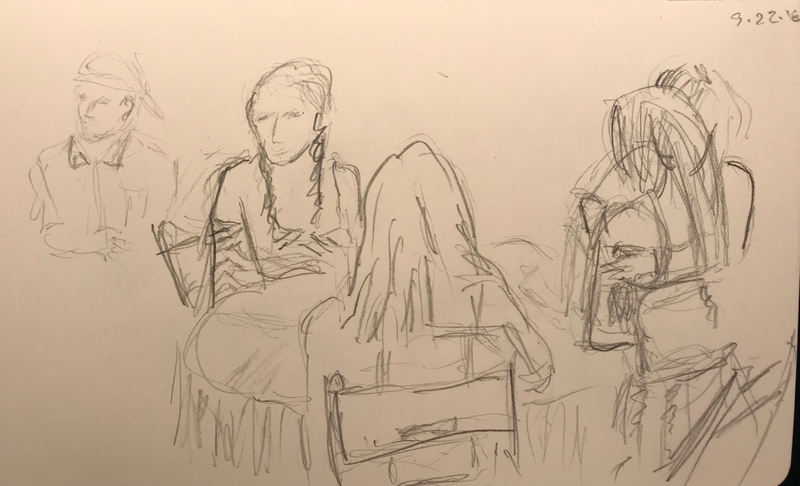 This entry was posted in Personal Stories and tagged artistic expression, creative process, drawing, group portrait, outdoor party, pencil sketch, poetry, sketch, solstice, visual art. Bookmark the permalink.